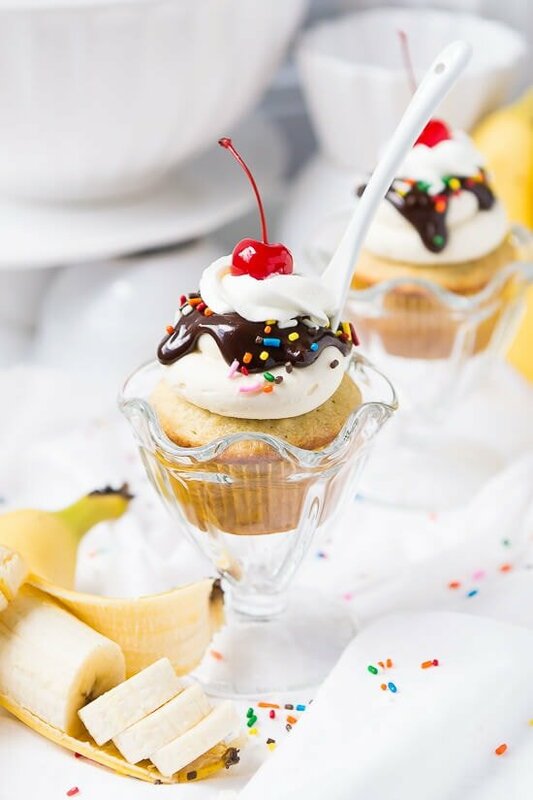 Banana Split Cupcakes are the perfect summer treat that tastes like the classic ice cream dessert but doesn't melt. 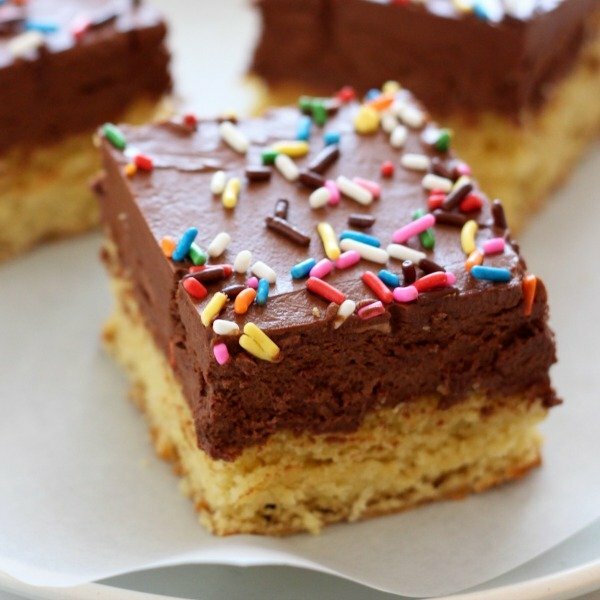 Taste: Like a banana split but in the form of cake. So delicious! 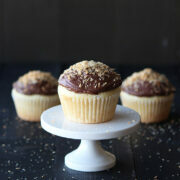 Texture: Light and fluffy banana cake with creamy frosting and silky smooth ganache. Would I make this again? YES!!! 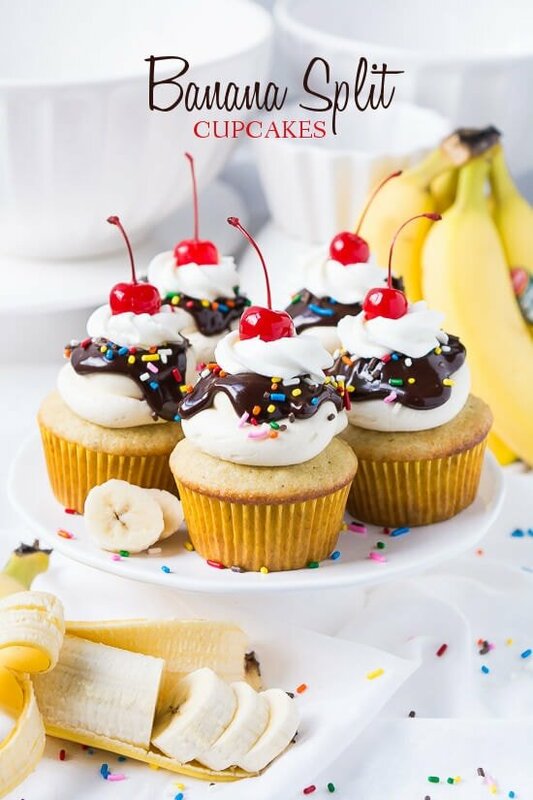 Please welcome back Melanie from Garnish and Glaze as she shares this adorable Banana Split Cupcakes recipe! 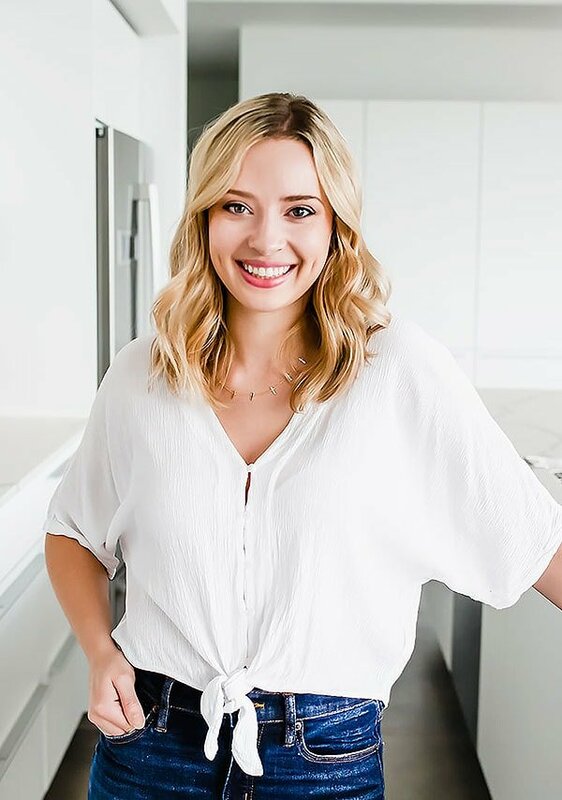 Be sure to visit her mouthwatering blog! If you don’t already know, I’m a big lover of ice cream. I eat it almost everyday… year round! In the summer, especially if outside, ice cream can melt pretty fast so serving it at a party or barbecue requires lots of freezer space and preparation during the festivities. 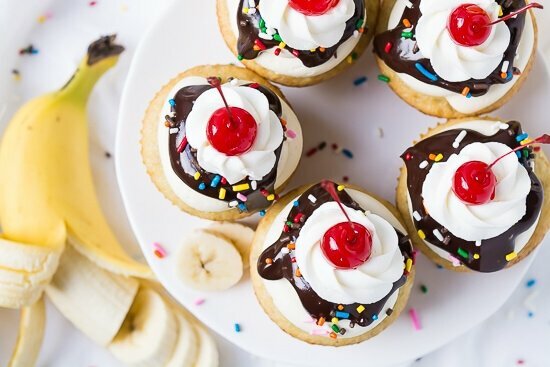 With these cupcakes you can still enjoy the flavors of the classic banana split but make it ahead of time, all cute and ready to serve to your guests. 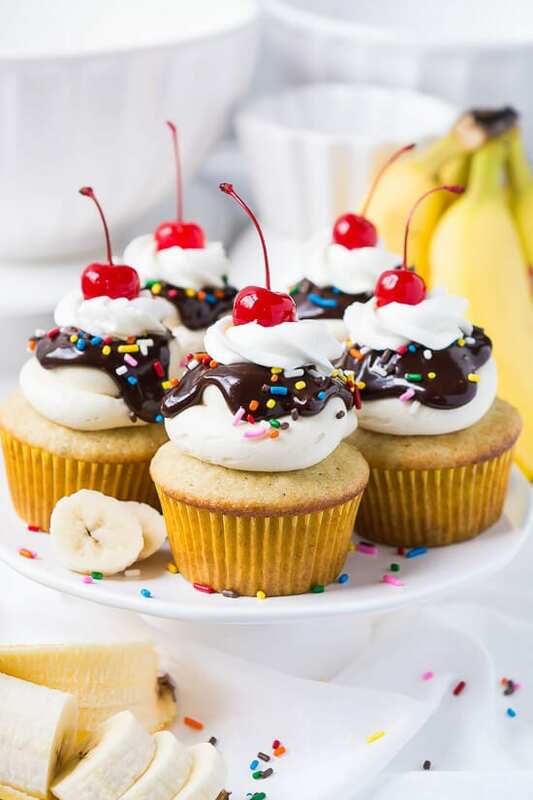 So these festive cupcakes are banana flavored cake topped with a sweet and creamy vanilla buttercream frosting like ice cream. Instead of hot fudge I used chocolate ganache and then added sprinkles (which my daughter gladly helped clean eat up). I of course had to add a bit of whipped cream on top and used homemade because is there anything better?!?!! But you can use the kind that comes in a can… if you must. And then don’t forget that lovely little cherry on top! Another great thing about these cupcakes is that you don’t have to dirty any plate ware or utensils like you would if you served ice cream. I’m all for easy clean up. Aren’t you? I hope you enjoy these cupcakes as much as my family did. I made these for my daughter’s birthday and she LOVED them… especially all the frosting, chocolate, and whipped cream on top. It was pretty funny to see her eat it because the whipped cream kept going up her nose with each bite. Place chocolate chips in a bowl and set aside. 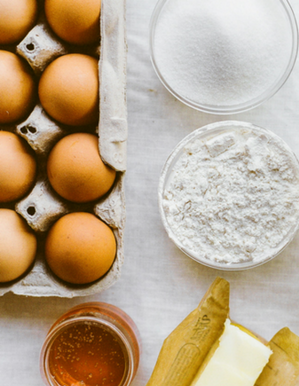 Place whipping cream in another dish and microwave until hot (about 45 seconds). Pour hot whipping cream over the chocolate chips and let it sit for 2 minutes and then stir together until completely melted and combined. Allow the ganache for cool down for a few minutes before spooning on too of the frosting. 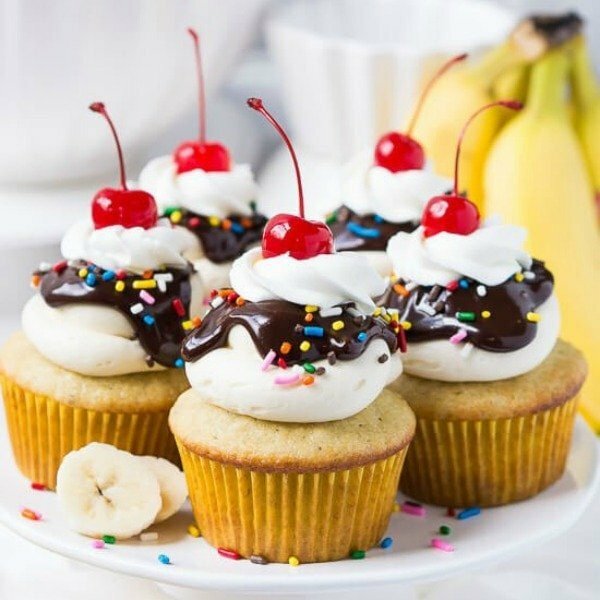 Banana cupcakes with vanilla buttercream frosting, chocolate ganache, sprinkles, whipped cream, and a cherry on top. These have to be the cutest cupcakes ever!! Adorable and I bet they taste delicious too! What a fun idea! They’re so perfect for summer. 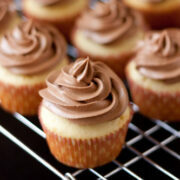 I have to say that these are some of the best tasting cupcakes. I followed the recipe as directed, and they came out great. The aroma when I took the cupcakes out of the oven was heavenly. Next time, I will be sure and double this recipe, thanks again! What a great idea! 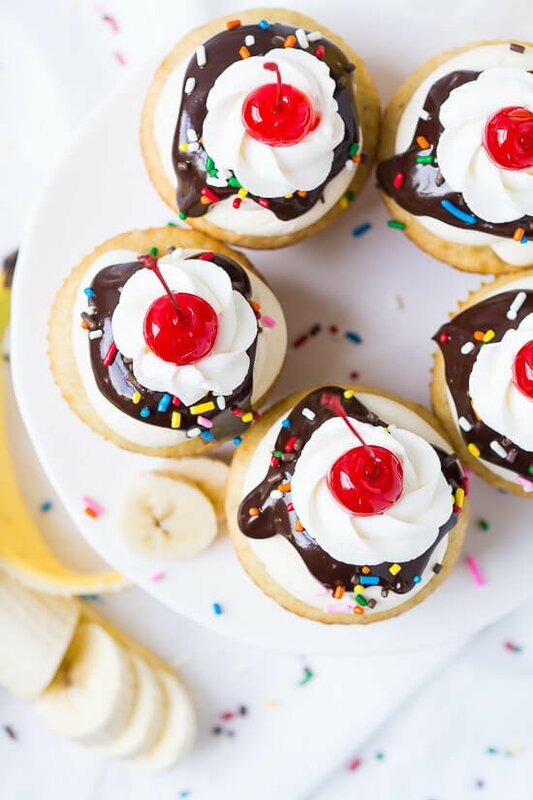 Banana split and cupcake together? I like it! I love the idea that there will be no more melting but it still has that ice cream flavor. Yummy! 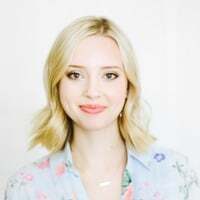 Hi Tessa! I’m baking these yummy looking cupcakes for Valentine’s and was wondering if you know whether Melanie uses salted or unsalted butter in the frosting for this recipe? Buttercream is made with unsalted, but since it’s not specified here l thought l should ask and not assume. Thank for sharing! These cupcakes are so cute! 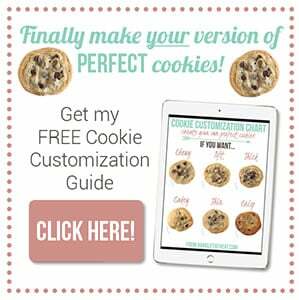 Any adjustments for high altitude baking? And what can you sub in for cornstarch?